No matter the time of year you visit, the weather in Sharm El Sheikh is often ideal for time spent in or alongside the water. With serene pools and a tremendous beach along the Red Sea, Royal Savoy is a premier destination for water lovers and sun seekers. Royal Savoy is home to three private pools, all of which are heated in the winter months. A perfect place to relax, the pools at Royal Savoy also offer a steam room, sauna and Jacuzzi. Located along the White Knight Beach, Royal Savoy enjoys a section of sandy seafront reserved exclusively for Royal Savoy guests. 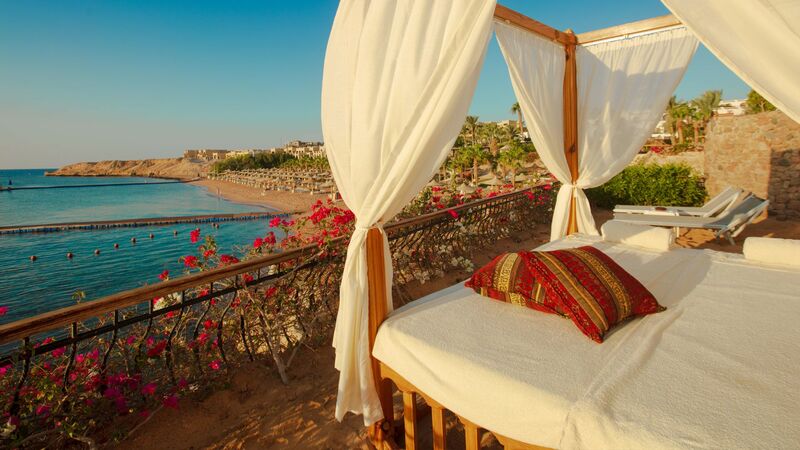 You will discover why we are known for the one of the best luxury beaches in Egypt as you enjoy views overlooking the Red Sea and Tiran Island from the parasols and loungers along this section of beach, available to guests aged 12 years and older.